About half of the sponsors of a New York fundraiser for Ted Cruz’ are prominent pro-Israel and Republican Jewish figures. WASHINGTON (JTA) -- About half of the sponsors of a New York fundraiser for Ted Cruz’s presidential candidacy are prominent pro-Israel and Republican Jewish figures, including Eliot Lauer, the longtime attorney for Jonathan Pollard. The fundraiser for the Republican Texas senator at New York City’s Harvard Club on Monday night takes place on the eve of primary elections in the state. The invitation was first posted by Rosie Gray, a BuzzFeed reporter, on Twitter. In addition to Lauer, who is leading the battle to reduce stringent parole conditions for Pollard, the convicted Israeli spy released last year after serving 30 years of a life sentence, the hosts include Ben Chouake, the president of the influential pro-Israel political action committee, NORPAC; Elliott Broidy, a Republican fundraiser who has been involved with the Simon Wiesenthal Center, among other Jewish causes; Aryeh Lightstone, a businessman and Orthodox rabbi, and Michael Olshan, a scion of a real estate family that is a mainstay of Jewish philanthropy in New York. Of the 18 listed donors or donor couples on the invitation, nine are Jewish. Cruz, who has suffered in polling in the state since deriding “New York values” earlier this year, is lagging behind front-runner and New York native Donald Trump and Ohio Gov. John Kasich in state polls, although he is closing in on Trump, a billionaire businessman, in the national delegate count. 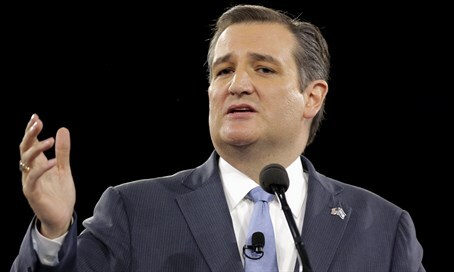 Separately, Cruz issued a statement praising Israeli Prime Minister Benjamin Netanyahu's “courage” for declaring this week that Israel would keep the Golan Heights forever. Israel captured the plateau from Syria in the 1967 Six-Day War and annexed the area in 1981. No country recognizes Israel’s annexation.